The School maintains a 2,080 acre teaching and research forest northeast of Gainesville. The forest is used by a wide variety of individuals and groups, both related to the School and otherwise. Professional schools are required to provide practical training and experimental facilities to supplement students classroom and laboratory teaching experience. The School of Forestry needed a forest to put into practice the theories and principles of its academic subjects such as protection, silviculture, mensuration, management, economics and others, thus the Austin Cary Forest was created. Are you interested in reserving the Stern Learning Center or Education Building for your event, course, or other function? You can find the calendar, reservation, photos, and much more at the Austin Cary Forest Campus website. The Austin Cary Forest (ACF) is used for the purposes of academic teaching, research, extension education, and demonstration. Approval of research and/or demonstration projects are granted based on the policy described in the Application Form. Review the map of the forest. Roland T. Stern was a respected, family man of Starke, Florida. After graduating from Bradford High School he went on to graduate form Lake City Forest Ranger School in Lake City, Florida in 1960. He married his wife, Lucinda Epperson in 1962 and they had two daughters: Ronda Stern Crawford and Robin Stern Knox. Roland always worked in some form of “timber” business. In 1985 he was one of a group of men that formed Great South Timber, Inc. He retired from Great South Timber and Lumber, Inc. as president in 2015. Roland was a kindhearted man, known for his generosity and his ability to be understood in just a few words. He loved his Christian faith, his family, his farm and watching the sun rise over Kingsley Lake. He spent most of his free time working on the farm: checking on the herd, putting out hay, repairing fences and checking the trees. He was thankful 6 generations have now lived on the “Stern” farm. Roland was happy to share his wisdom with those close to him, and spoke often of the value of living “simply and honestly”. In 1936, there was an abundance of forest land within Alachua County for sale at low prices, some of it was tax delinquent. Even so, these lands were beyond the financial resources of the struggling Forestry Department and of the University as well. The Florida Board of Forestry, a friend of the Forestry Department, had excess funds in its 1934-36 biennial budget. Early in 1936, the Board authorized the purchase of 1,519 acres of forest land located along the Seaboard Railroad 12 miles north of Gainesville, between Fairbanks and Waldo. The Board conveyed title to this land and jurisdiction over it to the University of Florida and its Department of Forestry. The land was typical of longleaf-slash pine timber lands of the naval stores belt; its former owners were largely naval stores operators. One of them, Louis E. Mize, of Fairbanks, is notable for selling the 40-acre block containing a lake, now appropriately named Lake Mize, for a nominal sum — a very generous arrangement. An adjacent 524 acres were purchased in 1938 with state funds; the total 2,043 acres thus met the 2,000-acre minimum set by the Society of American Foresters to entitle the School of Forestry to be ranked as a “Grade A” forest school. Purchased for less than $12,000, University President John J. Tigert and the State Board of Forestry recognized the appropriateness of naming it “The Austin Cary Forest,” to honor Dr. Cary. The first order of business was to fence the area and institute fire protection under the supervision of a full-time superintendent. The land had been logged-over from about 1900 to 1906. Later, the second-growth and cull trees were turpentined for about 16 years. Cattle grazing was common in the area after logging, and repeated burning kept the forest floor open for grazing and turpentining. After 1938, there was an insufficient number of trees more than 9 inches dbh to continue turpentining until a growing stock could be built-up. In 1939, the Work Progress Administration (WPA) built roads, buildings, and water draining ditches. And 100,000 board feet of pine and 80,000 cypress shingles were logged from the forest and processed at the School’s sawmill. The primary aim of timber management has been to strive for adequate reproduction through protection and to increase stocking of the forest. Students have used the area as an outdoor classroom to acquire field knowledge and experience. Other uses have been for experimental and demonstrational purposes. Toward these ends, periodic timber harvests have been conducted since about 1950, with early cuttings concentrating on thinning to remove old naval stores trees and for stand improvement. The Austin Cary Forest is a valuable natural laboratory of the University of Florida for forest resource education, demonstration, and research. In 1987 a rustic 3,200-sq.ft. teaching-conference center was completed on the grounds where class lectures and conferences are today commonplace. The unusually broad range of forest types, existing and possible, affords a rare opportunity for educating forestry students, informing laymen, and stimulating research projects on the management of forests common to Florida and to the lower Coastal Plain region. Realization of the full potential of the Austin Cary Forest requires a substantial commitment in the future to address the wide diversity of ecosystem and management practices. Austin Cary was a nationally known forestry pioneer. He worked for the U.S. Forest Service, state forest organizations, forestry schools, and private companies, and was recognized for his work on southern forests and naval stores. Cary was born in East Machias, Maine, on 31 July 1865. His journeys included all the forest types within the United States, plus those explored during his three trips to Europe. Cary frequently referred to his early training in the Maine woods where lumbering was a standard activity for old New England stock. His uncles were lumbermen, and he could recall evenings in their camps before stoves were used, when fire for warmth and cooking was always in the middle of the camp under “a big smoke hole”. At 18, Cary entered Bowdoin University where he obtained an A.B. Degree in 1887, an A.M. Degree in 1890, and an honorary Sc.D. in 1922. 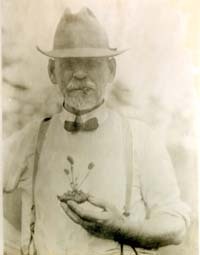 He studied biology at Johns Hopkins and Princeton universities, and was instructor in the Department of Geology and Biology at Bowdoin in 1887-88. He also taught at the Yale School of Forestry during the 1904 spring term, and in the winter of 1905-06 he was in charge of a senior class of Harvard University foresters. Cary often recalled that he had never heard the word “forester” until the year 1892, when he was 27. Dr. B.E. Fernow, in charge of the Bureau of Forestry in Washington, D.C., helped Cary in this new profession. Cary was employed as a surveyor and investigator in Maine and elsewhere, including conducting a field study in Michigan and Wisconsin during the winter of 1895 when he was gathering pine stem analyses data for Fernow’s Bureau. In 1895 Cary put in a full season in the woods near Androscoggin River in Maine, writing up results for the state land agents report of the next year. This helped enlarge his reputation, and in 1898 he accepted employment with the Berlin Mills Company, a large lumber business in Maine. He was the first forester employed by a forest products industry in America. During his 6 years with the company, Cary visited the Pisgah Forest in North Carolina to make observations and to survey, map, and cruise some 150,000 acres there. Cary frequently referred in the notes he had made on his travels abroad. He was much impressed with his first trip to Germany in 1897, noting that forestry started in Germany around the 1820s when the commercially isolated country set on the idea of national self-sufficiency and regulated order. During 1924, Cary made a trip to Spain and France with representatives of the American Naval Stores Commission, where he made many interesting observations. Upon his return, he continued his activities in the naval stores industry of the South where he would experiment with the French methods of turpentining. Cary was a prolific writer. In 1903, he published one of his first technical papers, entitled “Note on Relative Frost Hardiness.” (Forestry Quarterly 1903, Vol. 2, No. 1). Numerous other technical and professional articles by Cary appeared in the Forestry Quarterly, the Proceedings of the SAF, and later in the Society’s’ Journal of Forestry. In 1909, Cary published the first issue of his Woodsman’s Manual under the title “Manual of Northern Woodsman.” It was in such demand that the volume was reprinted in the years 1918, 1924, 1932, 1935, and 1942. In 1910, Cary was appointed as Logging Engineer for the U.S. Forest Service in Washington, D.C., marking the beginning of a new chapter in his life. He had become a pioneer on the somewhat practical side of forestry, but from 1910 his influence broadened into every forest region of the U.S. His travels included the Inland Empire forest region, Lake States region, the Pacific Coast where he talked with lumbermen, students, and private forest land owners. Cary first visited the South in the fall of 1917. He came to recognize the South’s potential as a major timber growing region of the U.S. and saw a role for himself in communicating this to southern people. With great physical and mental energy, Cary contacted timber owners, spoke at meetings, studied the most vital and practical natural factors, and wrote on these issues. In 1924, he was elected a Fellow in the Society of American Foresters at a time when there were less than a dozen Fellows in the entire Society. When he retired from active duty with the Forest Service (on 31 July 1935), he settled in Lake City, Florida, renting a room in the old Blanche Hotel. He resumed employment in the private sector, first as a consultant to the Alger-Sullivan Lumber Company of Century, Florida, and later to include the Miller Mill Company, Brewton, Alabama, and the Jackson Lumber Company, Lockhart, Alabama. He himself was a forest land owner who had amassed several thousand acres in Florida by 1936. Cary’s land is today owned by the State of Florida under management of the Division of Forestry as the present-day Cary State Forest in Nassau County, between Baldwin and Callahan. Cary lectured students of the Department of Forestry during a field trip near Starke in April 1936 at the site of one of his many naval stores experiments only on one occasion. He recalled his early career when he had “scratched along,” surviving winter temperatures of below zero in Maine, Michigan, and Wisconsin, which was not always easy, but nevertheless he was “carving out a future,” in spite of the fact that he “punished himself.” Only a week after the lecture, on April 28, 1936, at 10:40 a.m., Dr. Cary was stricken by a heart attack on the second floor of the AES building while on a visit with Professor Harold S. Newins. In spite of his apparent good health, he died at age 71, clutching in one hand an autographed copy of his Manual; in the other, a book he had used during the students’ lectures, “Hellements of Hickonomics in Hiccoughs of Verse Done in Our Social Planning Mill,” by Stephen Leacock. It is interesting to note that in his automobile, among other things, he had fishing tackle, a can of sardines, and a box of crackers, indicative of his level of readiness for field trips and outdoor recreation. Dr. Cary’s body was interred in Lake City where funeral services were held on Wednesday, April 29. Attending were brother George F. Cary, representatives from the USFS, the Florida Forest Service, the Department of Forestry of the University, and others. Cary was a close personal friend of Professor Newins and had given him much assistance in establishing the Forestry Department. Cary visited the campus to discuss his work with Newins and students frequently. He was known as a practical forester who had his feet on the ground at a time when more theoretical foresters were not always economically sound. He foresaw the great promise in the pine lands of the Southeast. His work among naval stores operators was renown. He was a first-class teacher, whether working with practical woods operators or university students.